Nuclear customers in Cumbria extensively use the expertise of Boldman to provide access platforms throughout their sites. By removing temporary scaffolding and replacing it with purpose built low maintenance platforms, this removes the need for weekly inspections of scaffolding in high risk areas. By using modular aluminium profile and modular hand railing systems. 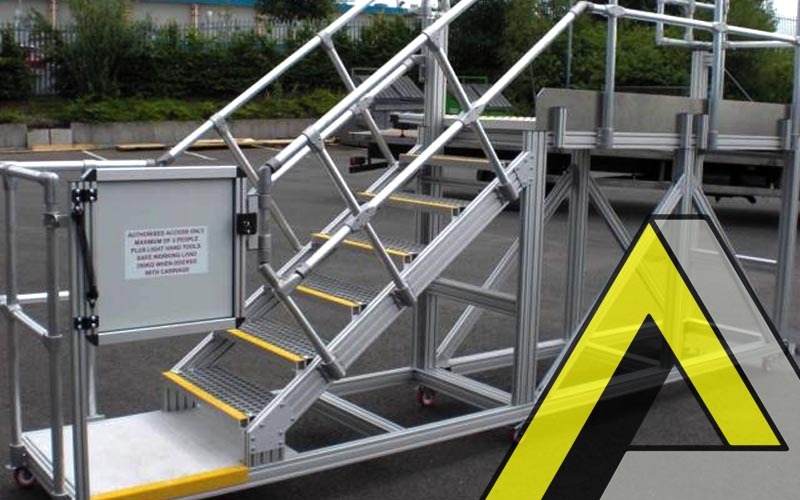 Boldman is able to bespoke-design any access platform, large or small, for the nuclear industry. From a single-sided standard access platform to a highly complex dock system, Boldman has the expertise to deliver. For example, a Boldman design flask access platform had to be manoeuvred into position using a crane and rope slings. The platform was 3.4m square with a square void in the middle. It was constructed using our range of aluminium profiles with handrails and toe boards to all sides, an access gate onto the platform and incorporated lifting points to attach to the crane into the design. Once the access platforms are installed they only require a minimal inspection, which delivers major savings throughout the site.